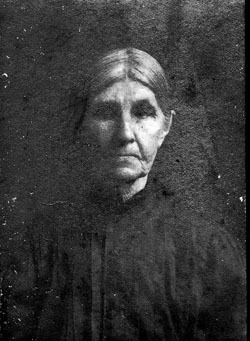 Nancy Knight, daughter of Joshua Knight and Mary Spence. Mrs. Nancy Knight, an old citizen of Bartow County, died at her home at Stamp Creek last Saturday morning and was buried at Macedonia cemetery on Sunday, the funeral being attended by a large number of the older citizens of the county. Mrs. Knight was 87 years of age and a member of the Macedonia Baptist Church and the funeral was preached by the Rev. Mr. Ingram. 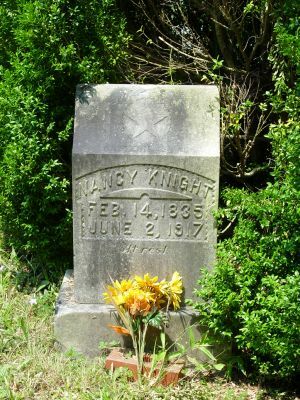 Mrs. Knight is survived by two sons, J.M. Knight and J.T. Knight of Stamp Creek, and by one daughter, Mrs. A.J. Brooks of Texas.